Bringing a new puppy into the family is an exciting time, but along with all the cuteness, dogs come with quite a bit of work and responsibility. One of the things you’ll need to account for is leash training. The benefits of keeping your dog on a leash go without saying. In most areas, you are required to use a leash by local ordinances. But dogs don’t necessarily tolerate leashes willingly. You’ll need to teach them how to conduct themselves when on a leash, ideally while they’re still a puppy – the sooner the better! One of the biggest leash training issues is the dog pulling too forcefully on the leash. This is especially problematic with larger breeds, which are physically strong and heavy. A large dog pulling with all its might on the leash could yank it right out of your hands, or even cause you to trip and fall. If your dog gets free, the results could be disastrous especially if near a road or area your dog can’t find its way home from. Obviously, you want to avoid that. If your dog has a tendency to yank on the leash, you may want to consider trying out no-pull harnesses. These products are designed to prevent the dog from pulling at the leash, keeping you comfortable and keeping your canine companion under better control on your daily walks. You’re probably familiar with a dog harnesses which strap around a dogs chest. Many people choose a dog harness because it reduces the strain and pressure on their dogs neck. Not all harnesses are created equal when it comes to training your dog, though. There are specific types of “no pull” dog harnesses which can be a very effective training tool. 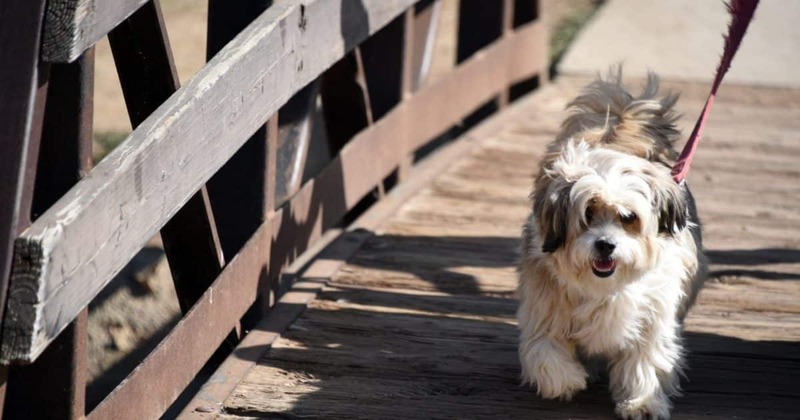 For young puppies and small breeds, no-pull harnesses will discourage leash pulling. There are quite a few brands and styles out there, some of which are more complex and harder to fasten than others. A back attachment harness has a loop to attach the leash toward the back, usually between the dog’s shoulder blades. These have their uses, but for dogs that pull, they’re a terrible choice. Having the leash attached at the back can actually encourage pulling, rather than discouraging the behavior. Front attachment harnesses have a leash attachment at the middle of your dog’s chest. This is what you want if you’re trying to discourage your dog from pulling on the leash. If the dog pulls, the location of the leash will cause them to be pulled to the side redirecting their energy and they won’t be able to pull forward. Over time, your dog will learn that they can only move forward if they don’t pull. In most cases, this can eliminate the behavior. 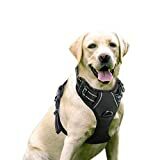 This PetSafe Easy Walk Harness is available in multiple different colors and all different sizes to fit any and every dog, and it’s also very affordable. With 4 adjustment points, it’s easy to get the perfect fit. 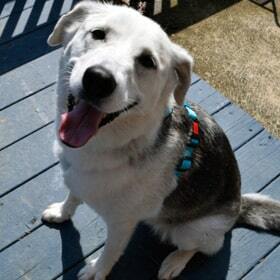 Whether it’s a standard leash or a special no-pull leash, dog leashes can attach to either a harness or a collar. But which is better? It generally depends on your own individual dog, and there’s no right or wrong answer in the harness versus collar debate. There are three key factors that play into this: the size of your dog, your training goals, and any pre-existing medical conditions that your dog may have. Collars are the most traditional option and the best starting point. If your dog has any issues with its trachea or respiratory system, however, a collar could exacerbate them. But for dogs that pull excessively, you’ll probably have better luck with a harness. Lunging forward in a collar puts potentially harmful strain on your dog’s neck, while harnesses avoid this problem entirely. Harnesses are also very effective for small toy breeds, which have a delicate build that can render a collar too harsh on their neck. We especially recommend harnesses for short-snouted breeds like pugs, which have congenital airway issues and are prone to medical problems like tracheal collapse. For small dogs and young puppies, a harness is a great option. If you’re not interested in a no pull dog harness, here’s a quick run-down of the various styles of no-pull leashes and collars that you can buy for your dog. Head collars aren’t something you see around all that often, but they’re a good choice for large dogs that have a leash pulling problem. Instead of fitting around the dog’s neck, these “collars” actually fit around the dog’s head and snout, with a resemblance to a horse’s halter. Because it’s attached directly to the dog’s head, a head collar leash gives you excellent control over the dog’s movements and attention. It’s also very, very hard for even the most clever dog to slip out of a head collar. No-pull head collar leashes are available in sizes to fit just about any breed. It’s possible that your dog might find the head collar uncomfortable at first, but over time, they’ll get used to it. This can take a while, so it’s important to be patient with your dog while they adjust to having something on their head and face. One possible issue is that stubborn dogs that pull hard at their leashes could potentially strain their necks if they’re wearing a head collar. To prevent this, it’s a good idea to pair head collars with relatively short leashes. You’ll also need to be a lot more careful with your leash when walking your dog as guiding it or giving it a correction will take much less force when you’re connected directly to the dog’s head. Dog head collars are pretty simple, and we recommend another PetSafe product here, their Gentle Leader head collar and training DVD. This is everything you need to get your dog walking pretty, and it’s nice to get a free training guide right with the collar! These are grouped into a category referred to as “aversion collars.” They help discourage certain behaviors, like leash pulling, by producing discomfort. Some people may find prong collars to be controversial or inhumane, while others see them as a useful training tool. What doesn’t help is that they look a lot scarier than they really are. Typically made of metal, a prong collar sits loosely around your dogs neck but when the leash is pulled, the collar tightens, apply pressure to the dogs neck. It’s important to note that a prong collar is not a choke collar or choke chain, it doesn’t restrict a dogs breathing. Prong collars have a limit on how much they can tighten, so they don’t restrict your dog’s airway when properly sized. If you’re looking for a prong collar, Herm Sprenger is the best brand to go with as they were the original inventors of this product and are known for their quality. 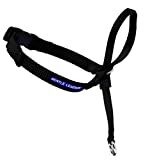 You can also find “limited slip collars”, also called limited choke collars or Martingale collars. They’re far gentler than a choke chain, but they have a similar effect. When the dog pulls at the leash, the limited slip collar will tighten in a way that’s unpleasant, but not dangerous or painful. As long as it’s fitted properly, it will not tighten enough to actually choke your dog. One advantage to limited slip collars is that even though they won’t choke, they can still stop your dog from backing out of its collar. These collars are typically made of nylon and look pretty similar to standard collars, but they don’t offer as much of a disincentive to pull as a prong collar does, so you may not get the results you’re after from this kind of collar. 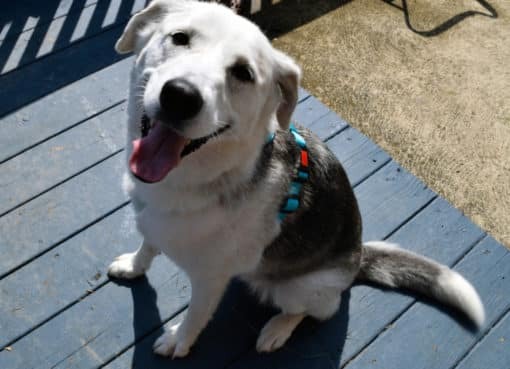 This Guardian Gear Martingale collar is an excellent choice – available in a variety of different colors and sizes, and the quality construction features a mix of nylon and stainless steel for durability. Now that we’ve covered your options for no-pull leashes, harnesses, and collars, we’re going to give a quick how-to guide for how you should go about leash training your dog with a no-pull harness. We’re also specifically going to cover discouraging leash pulling behavior, along with the underlying reasons why dogs do that in the first place. Why does my dog keep pulling so hard on the leash? As we’ve mentioned, walking calmly while on a leash isn’t an instinctive dog behavior. It’s something that needs to be learned, and the best time to leash train your dog is while they’re still a puppy. With that said, though, it’s far from impossible to leash train an older dog later in life. Contrary to what people often assume, leash pulling is very rarely a dominance issue. The dog isn’t questioning your alpha status. ● Stimulation and excitement. Dogs get excited when they go outside, and there are a lot of sensory stimuli coming at them from all directions. They want to explore and play, but their enthusiasm can translate into lunging forward against their leash. ● Overstimulation. In some cases, your dog may even be somewhat overstimulated, which can override their training sometimes. ● You’re accidentally rewarding the behavior. If pulling on the leash gets your dog where they want to go, they’ll see no reason to stop doing it. Some dogs may even enjoy the act of pulling itself. As long as pulling pays off, the behavior will be reinforced. As you’ve almost certainly noticed, it doesn’t take long for a dog to start associating the leash with going for a walk, which is one of the most exciting things in the world when you’re a dog. What you don’t want to do is attach the leash while your dog is jumping around and going crazy. Instead, you want them to learn that the leash will only go on if they’ve calmed down. If the dog won’t obey a sit and stay command, or otherwise refuses to calm down, don’t attach the leash. Keep repeating this as long as you need to, until the dog makes the association between sitting calmly and getting to go for a walk. To encourage your dog further, be sure to give them lots of positive praise, as well as rewarding them with treats they like. Before you go out, make sure the harness is fitted correctly to your dog. Otherwise, it may not be as effective. Attach a leash to the harness, ideally one that’s approximately six feet long. Hold the knot in one hand, then hold the loop in the other. You can reward your dog each time he takes a step with you without pulling, keeping the leash nice and loose. When you’re walking with your dog and you start to see him beginning to pull the leash taught, say “easy” (or whatever verbal command you prefer for this). He’ll probably keep trying to pull, since he hasn’t learned what this command means yet. Once you feel pressure, say “no” (or whatever word you prefer) and make a u-turn. This will cause the no-pull harness to turn the dog towards you, preventing him from continuing to walk forward. Keep repeating this pattern, using the “easy” and “no” commands, and reward your dog with treats when he does what he’s supposed to. After several walks, you’ll start to notice that your dog is catching on. You may need to start with rather short walks, then work your way up as your dog begins to learn how to walk on the leash. Remember that consistency is very important for dog training. Stop walking and turn as soon as you feel pressure on the leash, or your dog will learn that pulling “works” for getting him what he wants. The presence of the no-pull harness will make this entire process quite a bit easier. With enough practice and patience, even the most stubborn dog can learn not to pull on their leash. It can take some time, but the results are well worth it. Loose-leash training will start with very short walking sessions, and it will take some time before you can go on longer walks. 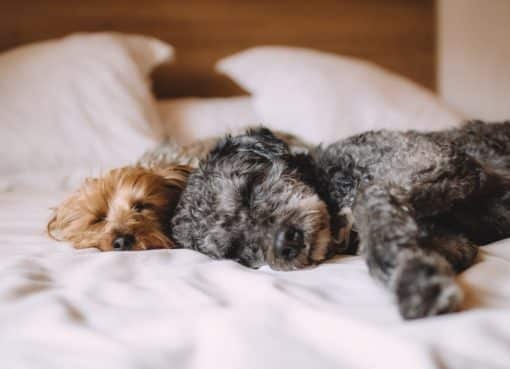 But in the meantime, your dog will still need some exercise and physical stimulation, especially if they’re a very active working or sporting breed. 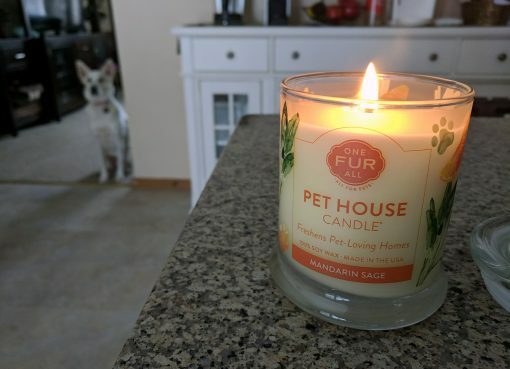 You can take care of this by playing fetch in the backyard, playing tug with his dog toys, or even taking him to a nearby dog park where he can run around freely without a leash. Dogs have a tendency to pull vigorously at their leash before they’ve been fully leash trained, yanking you along with them and making walks a challenge. No-pull dog harnesses, as well as no-pull collars, can go a long way toward making it easy to eliminate this behavior and keep your dog well behaved when they’re on a leash. There are plenty of products out there that you can try out, and for leash training, a no-pull front attachment harness is usually the most effective option. If you’ve been struggling to leash train your dog, this could be exactly what you need. Save the dog not so much your arm ¡!!!!!! !